MCRCD’s Registered Professional Foresters (RPFs) work with landowners to develop Forest Management Plans consistent with the California Cooperative Forest Management Plan template approved by NRCS, US Forest Service, CAL FIRE, and the American Tree Farm System. Forest Management Plans are long-term documents that are written in collaboration with landowners and helps organize and guide land management decisions. Forest Management Plans document landowner’s goals and objectives, document current conditions and capabilities of property resources, and identify potential resource improvement projects. MCRCD staff are available to help forest landowners apply for funding to complete and implement plans. 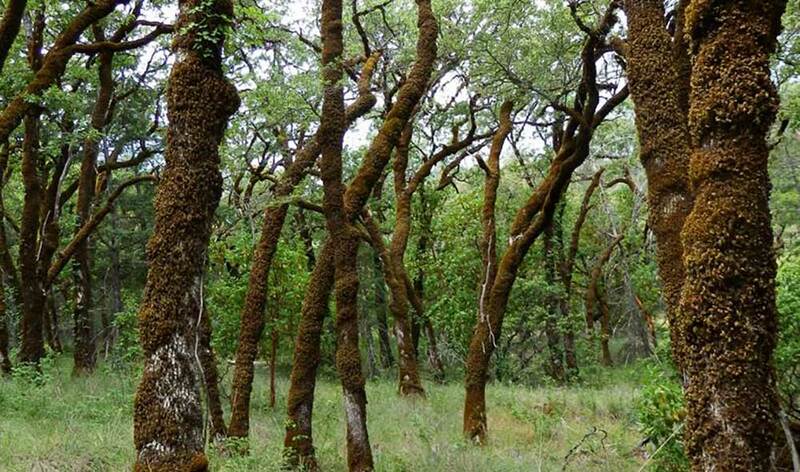 MCRCD Forestry Staff have received a multi-year contract to help landowners protect and enhance oak woodlands within Mendocino County. Enter your email address to subscribe to Willits Mitigation Weekly blog by Marisela de Santa Anna, and weekly image. distribute publications to new audiences, and fund restoration projects in Mendocino County. MCRCD is a grant and donation based special district, and provides community services to empower our community to maintain, enhance, and restore healthy water, soils, and landscapes.